﻿ Best Price on Dona Elvira Boutique Hotel in Santo Domingo + Reviews! Experience the first city of the Americas at this charming 16th century hotel, located in the center of the historic and trendy Zona Colonial, Santo Domingo. Combining old-world elegance and contemporary style and sophistication, guests at the Dona Elvira hotel can appreciate the number of modern amenities available for their convenience, such as free Wi-Fi internet access. The hotel Dona Elvira strives to make your visit memorable. With on-site Spanish lessons available as well as a library containing historical books, your stay is sure to be unforgettable. No bedbugs, breakfast was provided (as long as you chose scrambled eggs and fruit, A/C seemed to work adequately. The Dona Elvira considers themselves a "boutique" hotel...and they are NOT. The word "boutique" when used as an adjective (referring to a hotel) means "a stylish small hotel, typically one situated in a fashionable urban location and catering to a discerning clientele". In the case of Dona Elvira, sadly; such is not the case. When I am traveling, I like certain comforts. Hot water is essential. Dona Elvira had none. If a property has a pool, I would like it to be clean and welcoming. The Dona Elvira pool was not cleaned until the day before I left (Sunday). And, if the property has a Jacuzzi, it should be at least 100 degrees F, so that it is a relaxing experience. The Dona Elvira's Jacuzzi was cold and green, showing me it had not been running for a very long while. Would I stay there again....NO! Not even for free! There are many quality places in Santo Domingo, unfortunately the Dona Elvira is not one of those. 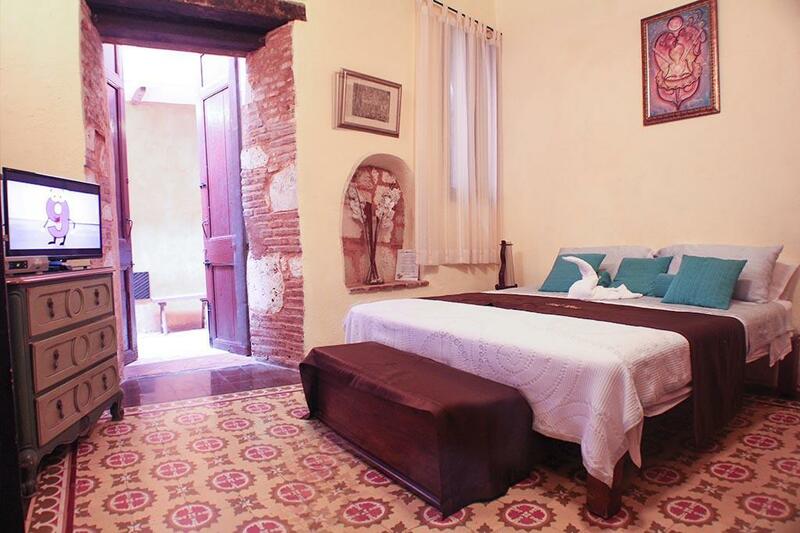 Lovely small hotel in Zona Colonial, close to some of the most historic places and very good restaurants. Very beautiful old building at the best location in Zona Colonial. We stayed two bed room. It was enough space with pretty bathroom. Shower was not enough warm but minimum. There was a small pool in the middle of hotel. It was small hotel but very special atmosphere. We enjoyed our stay. Nice staff service. Small but beautiful old building. 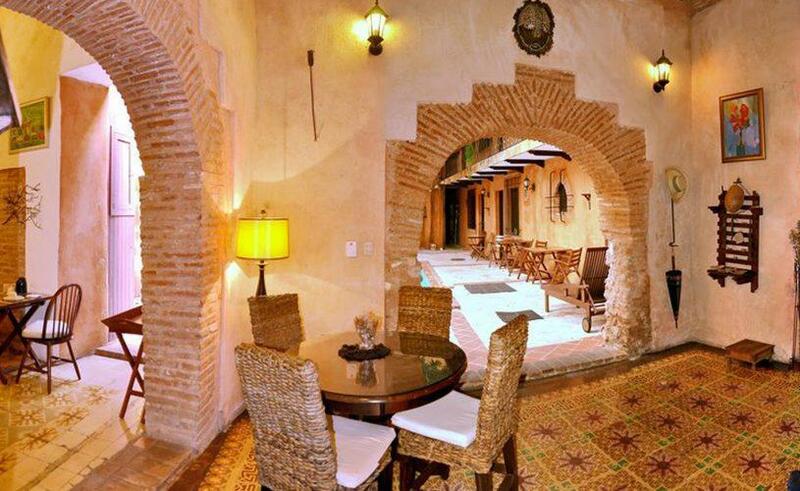 Good location, it was in the center of Zona Colonial, so easy to get any touristic places. In general, staff were very nice to any kind of inquiries. We had very comfortable stay in Dona Elvira. We enjoyed a great stay in Dona elvira. The staff and the host were very frindly and helpful. We had the luck to meet the host who gaves us a lot of recommandations and organized different things for us. ( Transports/ stay in his beautiful Eco Lodge at the beach from Cabarete / stay in PlayaRincon etc) it was a great pleasure and luck to meet him, because with his help we saw the real beauty from the dominician republic. We can warmly recommand the hotel for a stay in Santo Domingo and we are sure to go back! We had only one day in a busy trip to see Santo Domingo,and Dona Elvira was perfect for us.The hotel is traditional style with rooms off acourtyard,with plunge pool and foliage.The room was large,clean and comfortable and quiet,too.Breakfast good with eggs.Colonial Santo Domingo,which we had come to see,was right outside,and we loved it all.Dona Elvira served some local food,and we really enjoyed lunch overlooking the sea a short walk away. 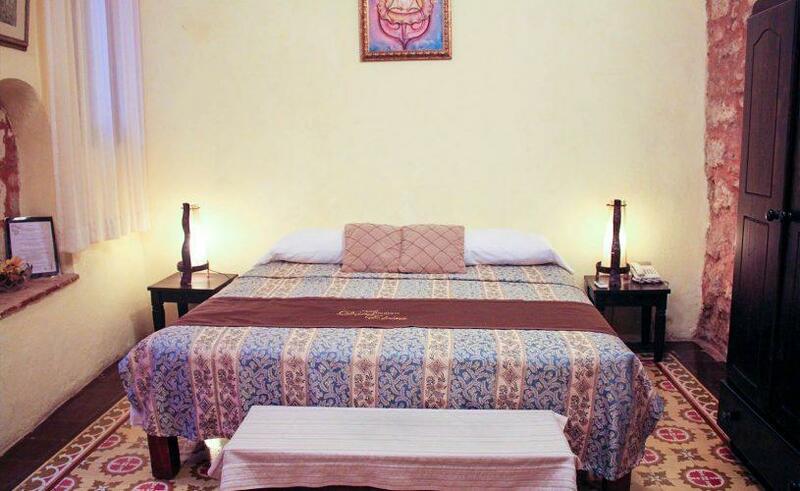 Within 5 / 10 minutes walk of all the things to see in the colonial city, I found this hotel to be most pleasant - big room, good AC, good breakfast, friendly staff - and all at a good price. Of course it is not luxury - but I have stayed in the luxury hotels in the city (outside the colonial area) and they do not have the advantage of location and one could be anywhere.The only problem I had was the late arrival of my pre arranged lift to the airport - but at the end of the day it was not an issue. Good place to stay if you don't have a car or want to spend alot on taxi's. Very close to the conde area which has alot of places to eat and many cafe's. Restaurant not open after breakfast, lack of hot water in the shower. Need to bring your own shampoo, etc. I had reserved the "Columbus Room". Which on the website was listed as room #1. I was given room 14 which was not the same and room #1 seemed to be where the staff stayed. When I commented on it, it was brushed aside. I was told that the cook was pregnant and not able to be there after breakfast so no food available after that. The breakfast was good and the staff were friendly. Only 1 towel in the bathroom and 1 bar of soap. It is ok if you don't have bigger expectations. Petite Piscine en plein milieu de la cours, qui ne s'harmonise pas bien avec le site historique. Manque de discrétion pour les locataires avec les chaises et la petite table installées collées à la porte de la chambre (pas insonorisé). Pas d'eau chaude, ce qui est inconcevable et inacceptable en raion du prix élevé demandé Climatisation qui coule dans le plancher, me suis levée les deux pieds dans l'eau.... Pas un éclairage chaleureux dans la chambre à coucher qui est perchée dans un petite minzannine exigüe. Enfin, un lieux pittoresque et historique, mais à mon avis le prix est bien au-delà (trop cher) des conditions annoncées sur le site. JE N'Y RETORUNERAI PLUS ET NE RÉFÈRERAI PAS PERSONNE. нужен был отель на одну ночь, выбирал по расположению (зона калониаль) и по цене. отель находится в 10 минутах езды от терминала caribe tours. номера ветхие,но уютные, есть кондиционер. интернет отсутствует. в общем если вам нужен недорогой отель на одну ночь - неплохой выбор.